Infinity features five scenarios, one for each main heroine. "Infinity Cure." features two new scenarios: 'Yuka Cure' and 'Cure Izumi'. All these scenarios are included in the game "Never7 -The End of Infinity-", with 'Yuka Cure' as an append story in the PC version. 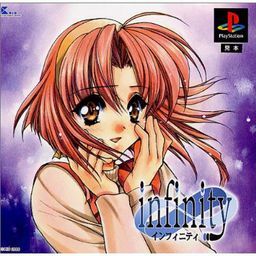 2000-11-23 All ages Infinity Cure.